Quickly avoid questions about your ESA with our 6-foot black emotional support animal leash. NSAR uses an expensive sublimation process for the lettering so the print becomes highly fade-resistant and it won't wear, crack, or peel like other screen printed" leashes on the market. 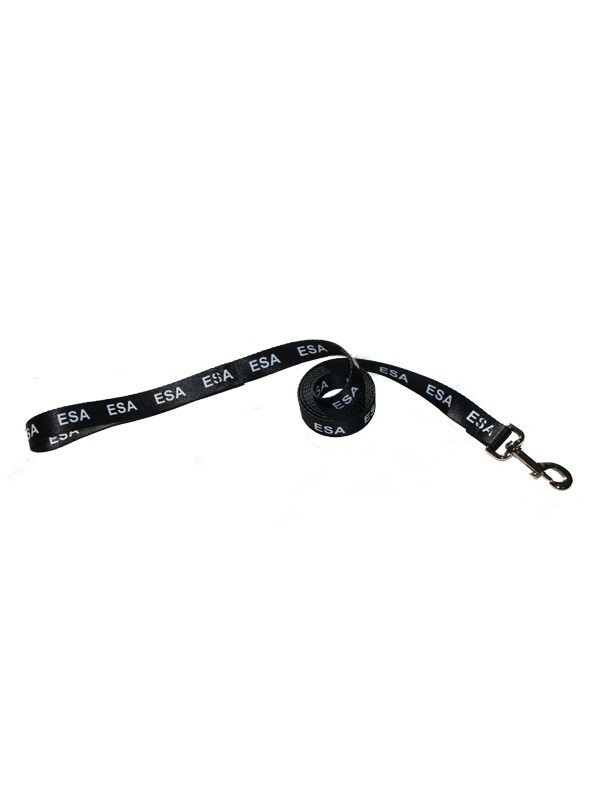 You can expect our ESA leash to easily last as long as your emotional support animal! Lifetime warranty! Don't be fooled by appearances: Our 6-foot black ESA leash completes more tasks than just walking your ESA. It also identifies for all bystanders and public entities from 20 plus feet away that this is NOT any ordinary animal, it is a legitimate working animal. NSAR provides a 30-day No-Risk money back guarantee! All I ordered was this leash, but NSAR treated me like I was their only customer. Great service! Leash is wonderful and I'm sure it will hold up well. Best thing is, if there's a problem with it, they have a 1-year warranty. I didn't see anyone else who had that kind of guarantee.